My first French blog post. Eeek!! Attention! Pour le premier fois, je vais écrire en français sur le web sans aucune aide! Comme j'ai mentionné dans mon dernier article, je suis perfectionniste. J'ai beaucoup d'anxiété, particulièrement avec parler ou écrire en français. Si je suis seule, c'est bien, mais si je me sens jugé, je panique. Alors, pourquoi j'écris en français maintenant? Un de mes étudiants a mentionné qu'il aimerais lire quelque chose de moi en français. Donc, voici! Je lui ai dit, "I suppose I should practice what I preach!". C'est tellement facile de se cacher ou fuir de nos problèmes, mais c'est important de faire face à vos peurs. La seule façon de se débarrasser de votre peur est de le faire et, avec chaque étape, vous vous améliorerez. Cependant, c'est aussi important de savoir vos limites. Par exemple, actuellement, je me sens que mon cerveau va exploser, donc je dois arrêter cet article bientôt! Mais, pour mon premier article en français, je pense qu'il est pas mal. Il est loin de parfait, mais il est suffisant! What does "Future Perfect English" mean? Someone asked me the other day where the name of my business, FuturePerfectEnglish.com, comes from - specifically, what does "Future Perfect English" mean? That's a good question. I chose the name for a few reasons. The first reason is because of the double meaning: Future Perfect is a well-known English verb tense (By the time you finish this article, you will have learned the meaning of "Future Perfect English") and it also cleverly markets the desirable idea that if you study English with me, in the Future, your English will be Perfect. "Wow! My English will be perfect!" You say to yourself. Well, actually, no. Sorry, to lead you on, but there is actually no such thing as perfect English. And that is the main reason why I chose the name. I chose it because of the irony of it. We live in a world of instant gratification and extremely high expectations. 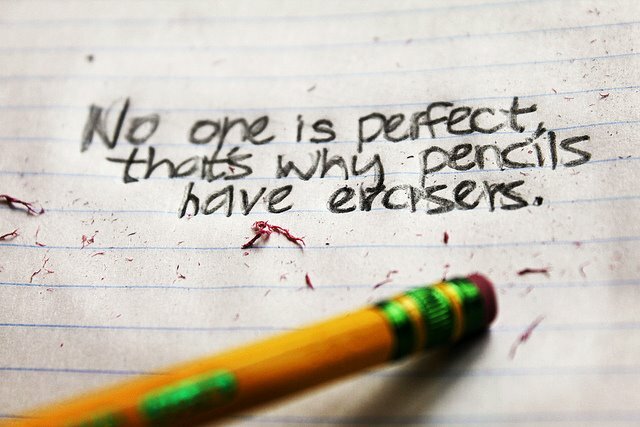 A lot of people have become perfectionists because of this. I am one of those people. I am also a second language learner myself. I live in Montreal, Quebec, and I have been trying to learn French for a few years now. Yet, I often feel very frustrated about my progress because of my high expectations and my perfectionism. I don't like to make mistakes. I often feel anxious speaking French because I want to be perfect and I don't want to embarrass myself. But, I am also an English language teacher and I have to remind myself that it's okay to make mistakes because that is how you learn. The relationship between perfectionism or anxiety and learning a foreign language is something that I am very passionate about. I believe that a lot of students feel frustrated that they are not making "enough" progress. They feel like they will never be 'good enough' at English. They will never be 'fluent'. They will never be 'perfect'. A-ha! But there is a huge difference between 'perfect', 'fluent', and 'good enough'. And that really is the key. I am a native English speaker and an English language teacher. My English is definitely 'good enough' for my needs because I have been 'fluent' at English for many many years. However, I am not 'perfect' at English. There are thousands of English words in the dictionary that I don't understand. And that's okay. 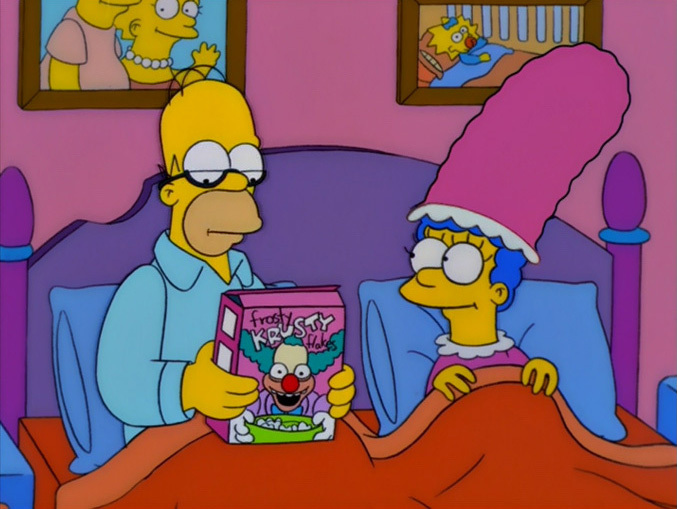 I don't need to know everything. I just need to be 'good enough' to be able to reach my goals. So, I suppose I chose the name "FuturePerfectEnglish.com" to attract the attention of people who presently have difficulty speaking English due to perfectionism or anxiety and to help them work towards a future of perfectly 'good enough' and finding their own definition of 'fluent'. I suppose it also sounds a lot nicer than "FutureGoodEnoughEnglish"! I have recently decided to focus this blog more on the psychological side of second language learning because it is my passion and I feel that there is not a big enough presence on the web about these issues. It is my hope that by discussing my own issues of perfectionism and anxiety that I will be able to help others start to enjoy the journey of language learning and working towards fluency. Learning a language can be difficult because there is no end. "What?!" you ask, "I have to study English FOREVER??!!". Well, yes. I am a native English speaker and I am still learning new words or expressions all the time. Plus, language is always changing. New words are added to dictionaries every year. Just like dieting or exercising, if you stop focussing on your goal, not only will you stop making progress, but any progress you have made could be lost. Have fun with your English study. I am studying French myself and I know how hard it can be to stay motivated. Grammar, vocabulary, idioms... it can be very overwhelming sometimes to just keep going. Trying to have fun with your study can help a lot. 1. Watch TV shows or Movies. Watching TV or movies in English can be really useful and really fun too. You can choose how challenging you want to make the activity by watching movies with or without subtitles, or perhaps from different countries. Play around with different accents, genres, or even try watching something in your native language that has English subtitles avaiable. 2. Listen to English radio/music. I listen to the radio in French every morning when I am getting ready for my day. Sometimes I can understand a lot and sometimes I can only make out a few words, especially in songs. But the daily practice of listening helps my ear get used to the sounds of the language. This also helps me to learn more about the French culture of Quebec which is really fascinating to me. There are some really good comic strips in English. The website gocomics.com has a huge list of comic strips that you can read online. My favourite comic strip is Calvin and Hobbes. It is about a little boy and his toy tiger and the adventures that they go on together. 4. Play games in English. I have recently started playing computer games in French. It is a fun way to get more study into my day and a really great way to learn new vocabulary. Some games are better than others, for example, I prefer to play games where you can both listen to the characters' conversations and read the dialogue at the same time. I am currently playing Guild Wars 2 in French and it has been really useful. 5. Find some English friends! If you want to improve your conversation skills, there is no replacement for the real thing. Practicing! This is always the best way to keep your motivation up, especially when you are having a difficult day. Just like having a training buddy at the gym, having an English study buddy can make a big difference. I also think it's probably the most fun activity in this list! Above all, the most important thing is to just do SOMETHING. Just start. It doesn't matter what you do, as long as you do something. Just try to add a little bit more English into your day, whether it's reading a magazine in English or even the back of the cereal box! Just do it. Okay, so perhaps I should re-phrase the title of this blog post. Fear is not just a big obstacle to learning a language, but to life in general. Everybody feels fear in one way or another. It is part of life. However, for some people, fear can be such a problem that it gets in the way of reaching their goals. This is where fear relates to learning a language and, for me personally, it can be a huge obstacle. They say that the number one fear people have is a fear of public speaking. I guess that makes sense- if you are functional human being, having to make a presentation, a speech, speak up in a meeting etc. is pretty unavoidable. It is a part of living a social human life. However, it can be a very anxiety-provoking experience. You are centre-stage. You feel like you are being judged. Maybe you ARE being judged. Is your opinion being judged, your appearance, is there something in your teeth?? PANIC!! But, hey, at least you get to speak your native language. This has always been my personal battle. I have been a performer almost my whole life. I am very used to being on stage. I can sing in front of huge crowds of people. I love teaching. Public speaking, whether rehearsed or made up on the spot, doesn't bother me at all. In English, that is. As soon as I have to switch to my second language, French, I panic. My confidence suddenly vanishes. My perfectionism and anxiety swiftly kicks in. It is particularly annoying and frustrating because I am a language teacher and I feel like I should be a better example to my students. I should be able to push through the fear and just do it anyway. Well, that's the plan! I recently felt like my learning had stalled and I needed to change things up to get me focused again. I literally needed to learn how to "feel the fear and do it anyway". So, you guessed it, I went out and bought the book "Feel the fear and do it anyway". I feel slightly annoyed that I hadn't read it ten years ago. Oh, the things I could have achieved! 2. The only way to get rid of the fear of doing something is to go out and do it. 3. The only way to feel better about yourself is to go out... and do it. 4. Not only are you going to experience fear whenever you're on unfamiliar territory, so is everyone else. So far, I feel like I have personally made some big improvements to tackling my fear of speaking French in public. I always thought that it made me a poor example for my students, but now I think that it makes me a much more compassionate and understanding teacher. With each other's support, we can absolutely "feel the fear and do it anyway". After a severe concussion, Jane McGonigal found herself on mandatory bedrest and feeling deeply depressed. In this talk from TEDGlobal 2012, she shares how she found her way out of a downward spiral — by creating a video game, SuperBetter, that helps people heal. Wow. I'm exhausted! But very happy. Why, you ask? Well, because I took part in the 2nd annual cross-Montreal scavenger hunt "Impossible Montreal" on the weekend. 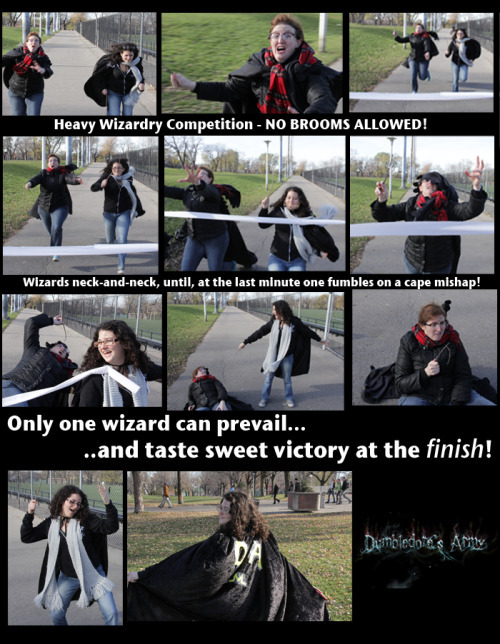 From November 9th to 11th, my team of 11 people (aptly named "Dumbledore's Army") had to complete as many challenges as we could from a long, crazy list. The event was run by Montreal Improv and required each team to post photo or video proof of each completed challenge. There was a total of seven teams this year. Our team did really well, leading up until the last moment when we were pipped at the post by the winners "Hunny Badgers". These are just a selected few of my personal favorites. To see more, check out the Impossible Montreal website. Why not join us next year...? IELTS and TOEFL are two internationally-recognized English proficiency tests that students can take to prove how good their English is. They are both used for immigration purposes and also for getting into an English-speaking university. However, they are two very different exams and a lot of students often ask the question "Which test should I take, IELTS or TOEFL?". The answer is... It depends. The first question to ask yourself is: Why do I need to pass an English proficiency test? Some countries have preferences of test. For example, the United Kingdom, Canada, Australia, and New Zealand prefer IELTS, whereas the United States favors TOEFL. Therefore, if you are trying to immigrate or enter a specific foreign university, check to see if one test is preferred over the other. Secondly, TOEFL is a typed exam whereas IELTS is handwritten. If you are a very slow typist, IELTS might suit you better. If you have very illegible handwriting, TOEFL may be better for you. Another thing to note is that IELTS is made using British English and TOEFL uses American English. This is especially integral in the listening sections of the two tests. If you are more used to American accents, you might score better on the TOEFL and vice-versa for IELTS. IELTS also uses listening exercises featuring Australian and New Zealand accents which can seem very strange if you are not accustomed to them. Finally, it really depends on what your end goal is. Personally, if you need to pass an English proficiency test for immigration purposes, I would recommend doing TOEFL as it is a bit more formulaic and is sometimes considered easier to pass because of this. However, if your goal is to go to an English-speaking university, I would urge you to consider doing IELTS as it thoroughly tests the exact skills you need for passing exams and writing wonderful essays. I think it is much better to have a realistically difficult test than an easy one and then waste your time and money by failing at university simply because your English wasn't good enough! In conclusion, there are many pros and cons for both exams. If you have any questions or would like some advice about which exam you or your family member/friend should take, please leave a comment and I will get back to you soon. Happy studying! So, you want to improve your English? Great idea! I am happy to help you! My name is Lynda and I am a certified English language teacher. I have a Bachelor of Arts in Performance Theatre and more than 7 years of experience teaching English both in Canada and overseas. I am originally from New Zealand, but I now live in Montreal (I met my French-Canadian husband while teaching English in Japan!). I love living in Montreal and am enjoying the mix of French and English culture. I also understand how difficult and frustrating learning a second language can be. Some days it is so easy and fun, and other days you just want to quit! That is where I can help. My English classes are made specifically for each student. I focus on exactly what you need - motivation, support, games, FUN, help with grammar, pronunciation, idioms, speaking, listening, writing, reading - whatever you need to get results FAST. Please feel free to contact me about your English learning goals and inquire about a free trial lesson. I look forward to meeting you! Copyright 2012. Theme images by Goldmund. Powered by Blogger.